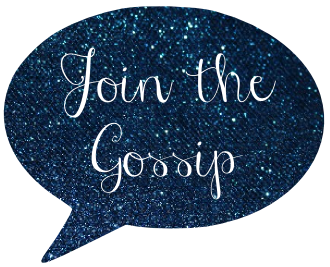 Join The Gossip: Happy New Year! 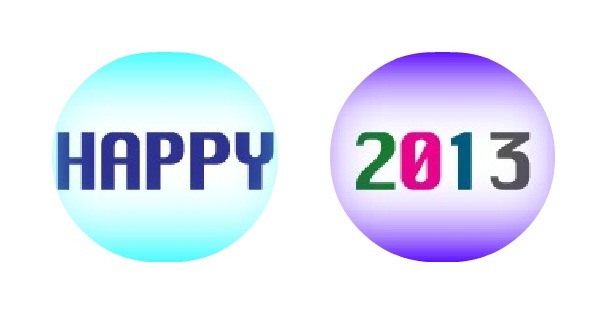 Happy 2013, friends! Here's to a year full of family, friends, and lots of happiness! 1. Give up all soda. 2. See a New Orleans Saints game at the Super Dome. 4. Travel to a brand new place. 5. Join the Daughters of the American Revolution. 8. Celebrate big for my 30th birthday. 9. See a real fall with colorful autumn leaves. 10. Go on a spending freeze every other month. 12. Reach 1200 GFC followers. 13. Learn to stand up for myself. Decent, eh? What have you planned to give up, or to do, to better yourself in 2013? Looks like an awesome list! And I know where you can see some magnificent fall foliage! ;) Have a wonderful new year! Great list but I would say lucky number 13 is the most important! You go girl! Fall is very pretty in New England so if you come let me know and I'll show you around! Oh and I have some friends here who are in DAR (I don't really get it but they seem to like it). Wonderful list! We have a lot of the same things! :) Happy New Year! A spending freeze every other month is a fantastic idea. I need to develop a budget in a serious way. Also need to lose 30 pounds . . . keep me posted on what you're doing! My diet starts today (even though it's terribly hard cause there is leftover pizza in the fridge, ugh). Those are great things to accomplish this year! Happy new year! This is such a great list. I think the DAR would be awesome! I can't wait to see you cross these off this year! I love all of these! They're doable and realistic - and you're determined enough that I'm sure you'll stick with them! (Giving up soda becomes way easy after only a bit too). This is a very good list and totally doable. I'm SO happy that I gave up soda. Don't even miss it anymore! Giving up Soda sounds awesome...I'll try that one too. You have totally got this lady! :) I'm cheering you on! Hey there! Happy New Year! OK, now that I have seen a game at the Superdome I say that YOU HAVE TO GO! It was awesome! I don't think I told you but after the game we ended up at a club where I met Jahri Evans (#73 - huge boy!). And then we went to another club where I ordered drinks next to Lance Moore (so cute) was was too sober to talk to him but later in the night went up to Jimmy Graham and introduced myself and shook his hand. His was really nice and even cuter in person. A bunch of the guys were there Vilma, Sproles, Thomas. I don't think we will ever get that chance again. It was insane!! These are great resolutions... very well rounded! This is making me think about coming up with my own list! Good luck keeping them!! Happy 2013! I love the idea of 13 resolutions in this new year. One of mine is to get back into blogging, and I'm excited to start reading your posts again! All of those goals are totally accomplishable! You can do it! Good luck!